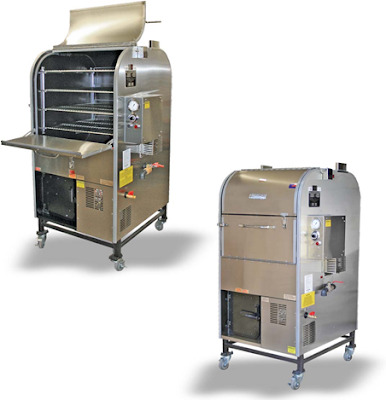 * A nice selection of rotisserie pits and competition trailers. * Wood burning smoker ovens used by restaurants & contest cookers. * Highest quality stainless steel grills of all sized! * A large selection of top quality mobile grills and smokers. * Fine Portable Commercial Gas or Charcoal Fired Grills. A complete line of nice commercial bbq grills!. * Residential, commercial, and contest grills & smokers. * Restaurant quality wood burning rotisserie smokers and Churrasco grills. * Manufactured pits with some customizing available. Makes full custom mobile pits. * Tow able trailer mounted LP gas and Charcoal Grills and Barbecue Rotisseries. * Rated the best for commercial - restaurant use. * Backyard and mobile pits. Rolled plate construction. 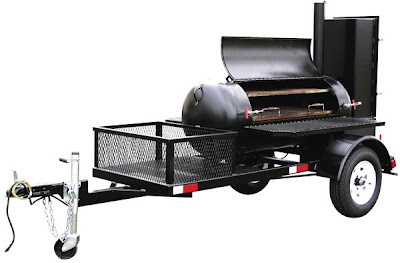 * Wide selection of extra cool custom grills and smokers! * Pits made from New steel plate and stainless steel. Excellent quality and design! * New propane tank smoker/grills. Manufactures custom made smoker grill cookers. * Makes full custom BBQ pits from steel pipe and plate. Custom made concession trailers. * LP gas barbeque trailer grills and cookers. Customs too! * Well engineered production backyard smokers and grills.